The stars have aligned for Co-Vale Dempsey Dina 4270-ET. 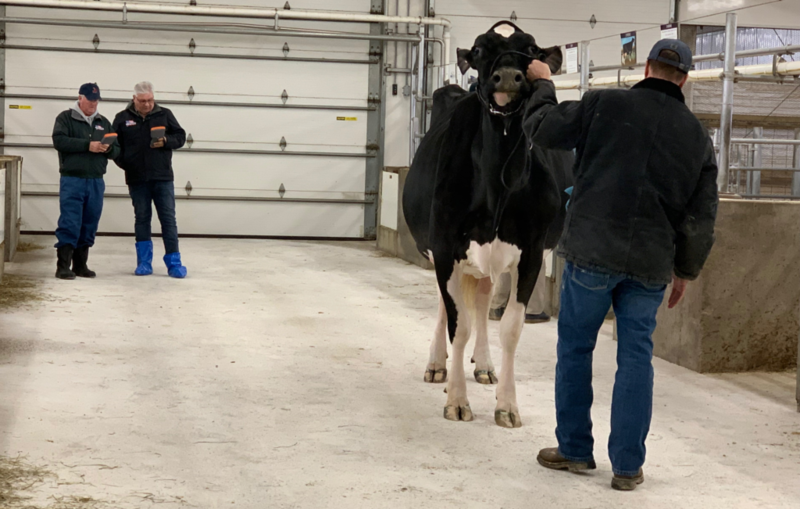 After careful consideration from multiple Holstein Association USA classifiers, the stunning 5-year-old cow was upgraded to a note-worthy classification score of EX-96. The silky, black hided beauty, owned by MilkSource Genetics LLC and Ransom-Rail Farm, is tacking the new classification score onto a sizable list of show ring accomplishments that span back to her year as a senior 2-year-old in 2015. During a phenomenal 2017 show season, she gained popularity amongst show enthusiasts after being named Grand Champion at The Royal Agricultural Winter Fair, Reserve Grand Champion at the International Holstein Show and the Unanimous All-Canadian and All-American 4-Year-Old. Most recently, Dina found success at the 2018 International Holstein Show and was named 1st Place Five-Year Old, Best Production and Best Udder.